The Excel addin allows you to insert formulas directly into spreadsheets and extract information from your retail system. You can very rapidly create highly specific reports. The formulas recalculate in real time from your system, so you always have up to date information. For instructions on installing the Excel Addin, see Excel Addin Installation Instructions. A pinboard returns a single value for a named request. Pinboards can have parameters to select individual details. eg. Pinboards can conceptually be viewed like a giant noticeboard where individual statistics are pinned to the board on post it notes. 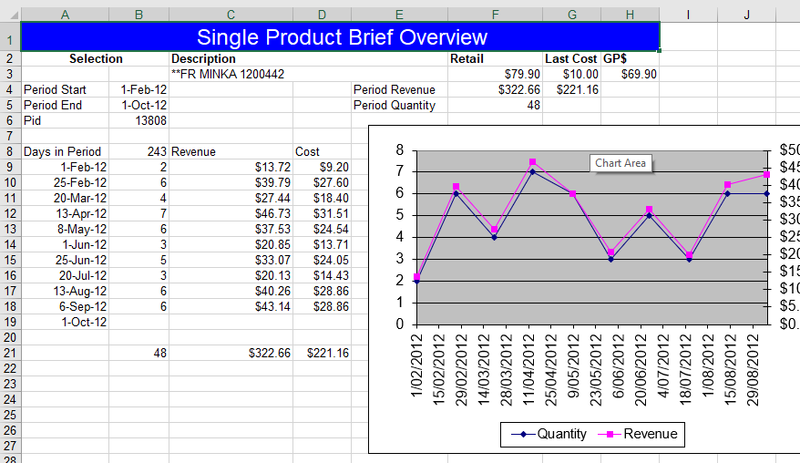 How and where the value is calculated is not important, Excel simply reports the value. 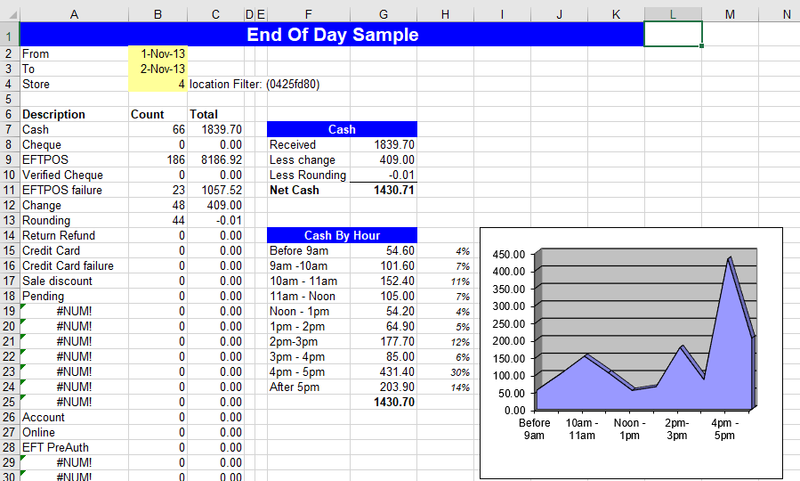 The quickest way to learn how to use the Excel reporting is just to try it. There are a couple of key concepts but these can be learnt from one or two examples. The Globaldata Addin maintains a number of counters and debug support fields. While these are not needed for normal spreadsheet use they can be helpful for support and analysis. Shows a department list with names of departments and number of products in each department. It then adds strikerate (percent of baskets that include a product from this department) for this year and last 5 years. Stock on hand quantity and value (using last cost) and also added for stores that maintain accurate stock levels. Requires Excel addin dated 15 April 2018 or higher, and Gds Server 15th April or higher. Uses a "descriptive" or search style method of naming pinboards so that you do not need to precisely identify pinboard names. Requires Excel addin dated 25 April 2018 or higher, and Gds Server 25th April or higher. Uses the Excel SUMIF function to produce totals on a field that isn't available as a total already. In this case a list of products and revenues are displayed alongside the "u_brandname" field, which is a site specific customisation. The individual product totals are then amalgamated via Brand to display a total for each brand. Reports average customer basket sizes by store and date range. Also includes a section showing the distribution of the different basket sizes observed.